Having a mobile attribution tool in place helps to attribute an install to source of user acquisition and marketing campaign on a single platform for your spends on multiple networks. So that you are able to optimise your marketing budgets to get quality users to your apps. Adjust is one of the industry leaders in Mobile attribution platform and fraud prevention. 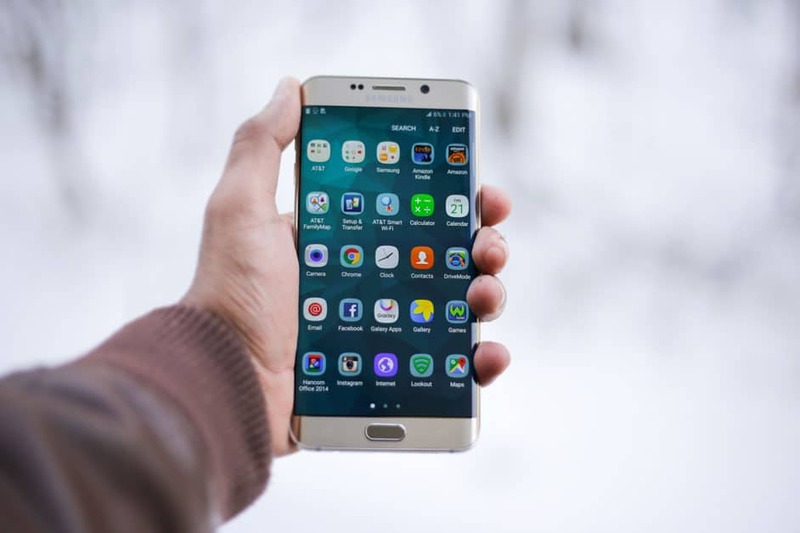 For attribution it is uses fallback from device identifier to fingerprinting to impression based and is integrated with +2000 partner which includes self attributions networks like Facebook, Google Ads, Snapchat, Pinterest and Twitter. 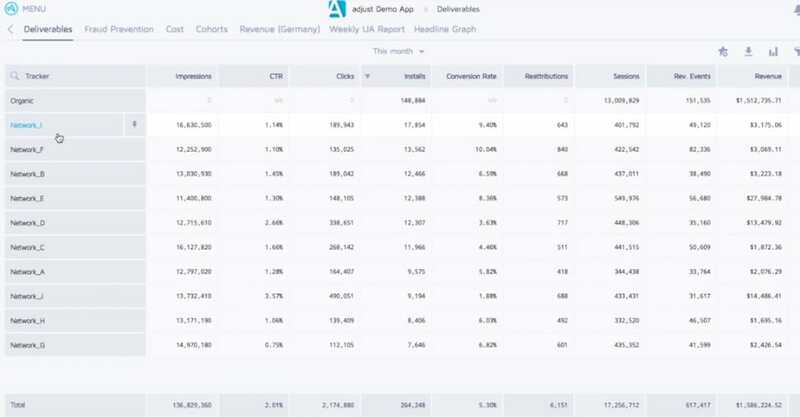 Along with attribution it also provides app analytics based on in-app events and segmentation for cohort analysis. One feature that we like the most is the audience builder to re-engage with your app users by generating dynamic audiences which is updated real-time instead of downloading csv. Split audience allows you to split the audience between networks so that you don’t spend on duplicates. Also you can promote you new app to your existing highly engaged users using Adjust. It has easy to use dashboard where you can track network performance based on important mobile app KPI’s along with In-app events that are configured. Below is a screenshot from Adjust statistics dashboards that show how easily you can check fraud, cost, perform cohort analysis etc. Appsflyer is another most widely used app attribution tool. It follows people based attribution which gives one view in order to have a complete picture of your user journey. This is a part of their paid product. It has a great value to offer even in its free version in terms being integrated with 4000+ partner, measuring ad revenue & user Lifetime Value(LTV). Below the screen from Appsflyer overview dashboard which shows clearly breakdown by acquisition source based on install volume, lifetime loyal users and lifetime value. 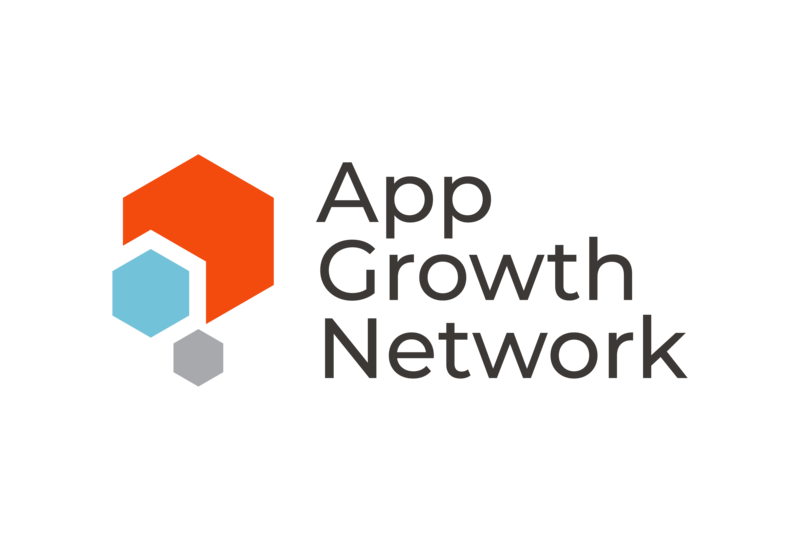 Appsflyer also offer retention and cohort analysis based on country, source, app version and have raw user data which can be exported and analysed as per your app. Branch is a widely used Analytics & attribution tool used for mobile apps. It provides attribution, fraud prevention and deep linking solution to offer a unified experience across multiple touch points. It uses people-based attribution using branch persona by merging cookies on the web with IDFAs and GAIDs inside apps. These cross-platform personas are reliable, permanent, and do not require fingerprints.As it consolidate web and app measurements so it’s a more reliable tool for measuring accurately attribution of both web & app campaigns. Along with this it allows to add unlimited custom events like Purchase, Add to cart, Add payment, Cost, eCPI, eCPA, ARPU, Gross Profit, Opens, Revenue, ROAS, ROI and compare with filters – ad name, ad partner, ad set name, campaign, channel, country, creative, date, has clicked ad, has clicked email, last attributed touch type etc. Here is a screenshot of the analytics dashboards where you can check clicks, installs, and conversion events and segment them by country, device, platform, channel, campaign, and more. Another mobile attribution tool is Kochava which uses attribution methodology similar to Adjust. 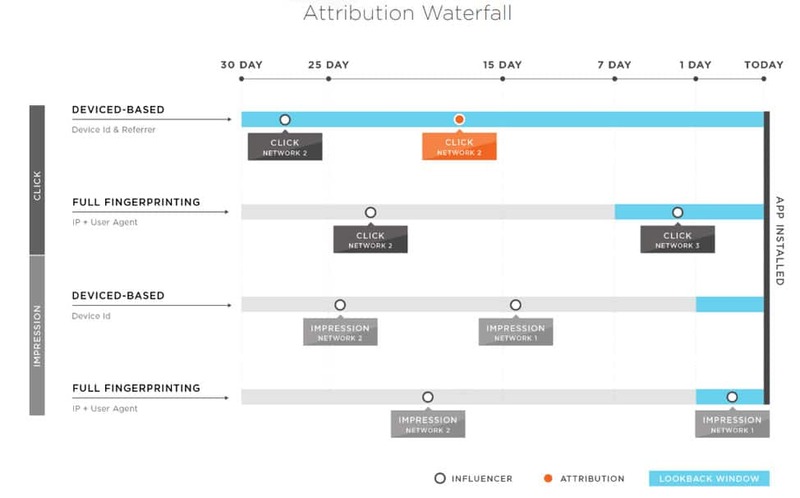 Below image show Kochava’s configurable attribution waterfall. 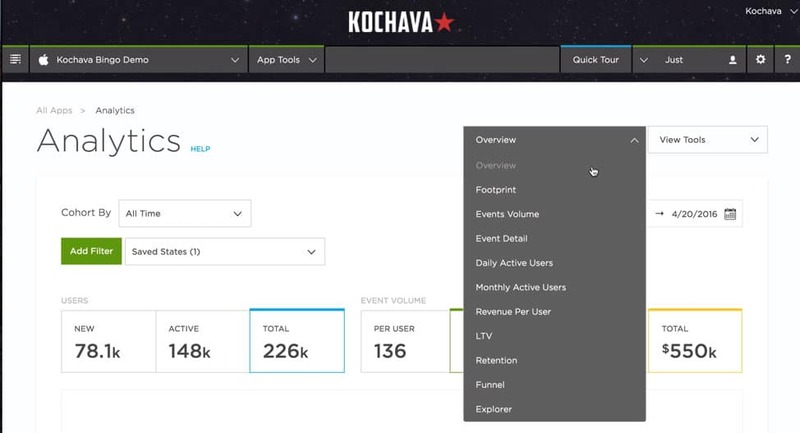 Kochava also offers fraud prevention and data analytics dashboard to optimise media cost to drive maximum ROI along with measuring user Life Time Value(LTV), In-app events, funnels, retention and more. Below is a screenshot of Kochava analytics dashboard. It also provides user engagement using push notifications to segmented users and A/B multivariate testing for experimentation.